“Before I started to school Bama would take me in the afternoon down to Big’s house at 115 East Washington Street to play with John, who was four years younger than I and just a baby then. 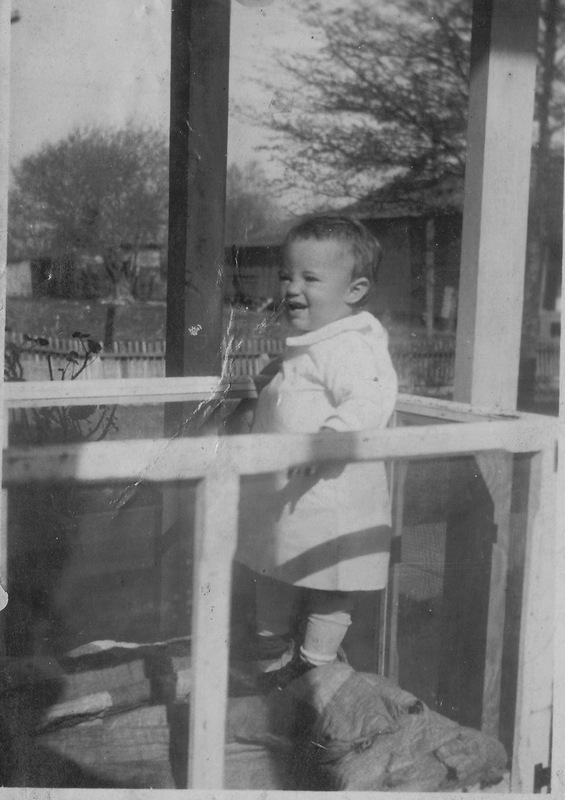 I remember John would be in the kiddie koop (the baby bed we had all used which had screen sides and a screen top to keep out the mosquitoes.) I always liked to go to Big’s house because they lived just a block from downtown and we would walk with John, and sometimes she would walk down to Howard Street with me. “Big and Uncle Roy lived in a big old fashioned white frame house with a front porch which had a railing across the front. Later they remodeled the house and bricked it and put a screened front porch on it. Bama and Bigma, who lived with Big, would sit in rockers on the porch and talk to people passing by. Bigma was funny and would say just what she pleased and it kept Bama worried that someone would pass and hear her mother saying something about them. 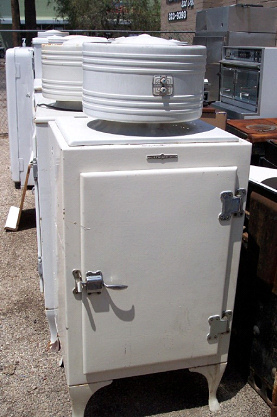 This is very similar, if not the same model, to Big's GE refrigerator. It stayed in her back hall, working just fine, until she went to the nursing home, sometime around 1970. Big and Uncle Roy’s house. Right there, still, miraculously, on the northwest corner of Walthall and East Washington, after all the other memorable houses around it have been mowed down and forgotten, replaced by sterile boxes. 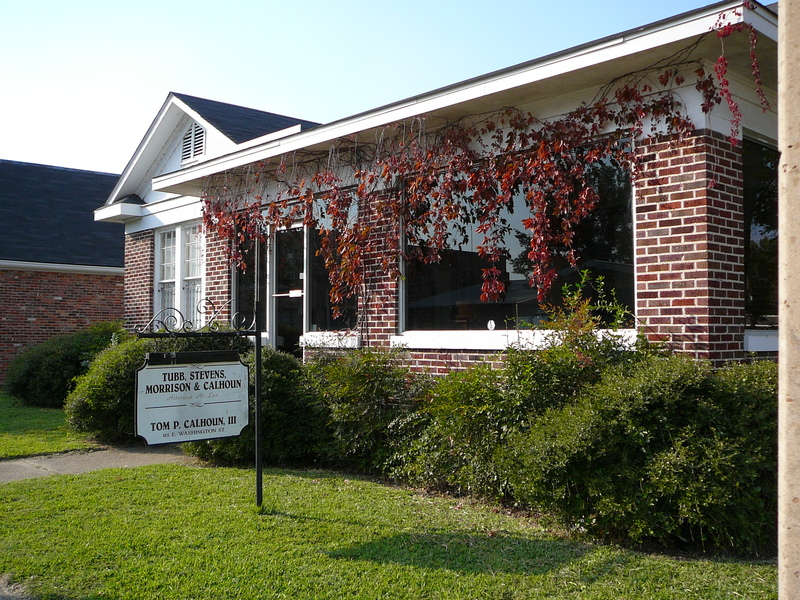 If there was ever a geographic center to our family, a place where all of the Wests and Evanses and Stotts could say, “When all else fails, this is home,” it would have to be the Stott house, now Tom Calhoun’s law office. My earliest memories, and I’m sure the same holds true for all my generational cousins, are of the dark, cool halls and high ceilings and old fireplaces that were no longer used. In my 1950s childhood, Jessie’s bedroom was in the front, where she moved in for a temporary stay in 1932 and remained for 28 years. That’s right, 28 years. 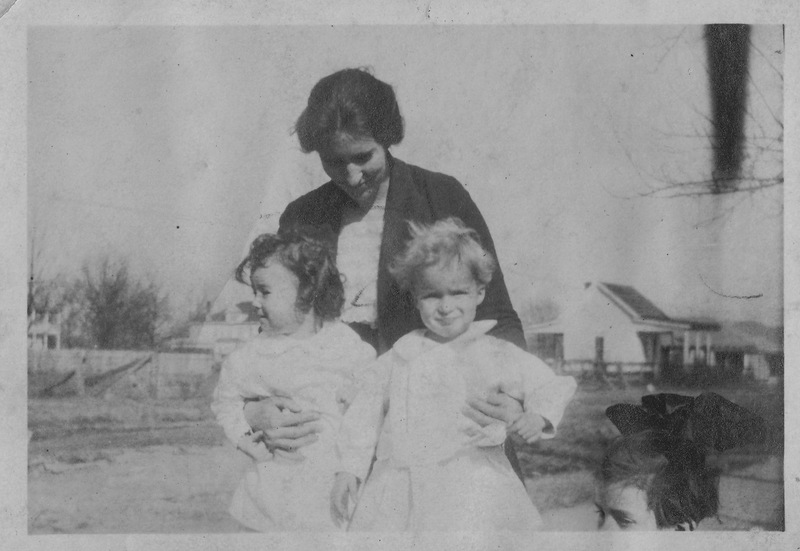 With five children and her mother, all of whom eventually left, leaving Granny with Big and Uncle Roy and various cats and a constant stream of visiting grandchildren and neighbors. At the height of this saga, eight children and four adults were sharing five bedrooms and two bathrooms, pulling food from that dependable little GE refrigerator, piling into the big dining room for meals and spilling over to Big’s old-fashioned kitchen. There’ll be much more in these blogs about “Big’s House” but suffice it to say that if it goes up for sale tomorrow, one of us will be sure that it winds up in good hands. Because, in a way, it’s still our family stronghold, packed with memories. And you don’t mess with strongholds.